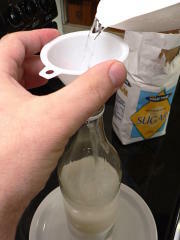 Up until about two years ago, if you weren’t a bartender or a pastry chef you probably never heard of simple syrup. 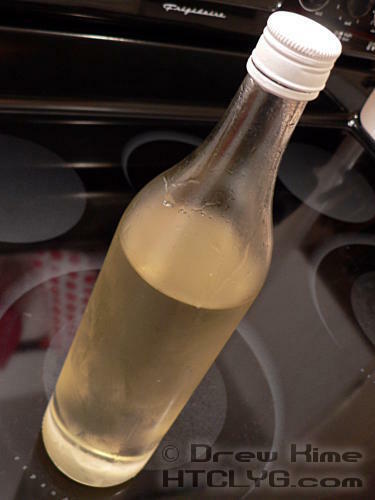 Then the mojito became popular, and all of a sudden bottles of simple syrup started showing up in the grocery store. And they cost more than the rum! For half the size! 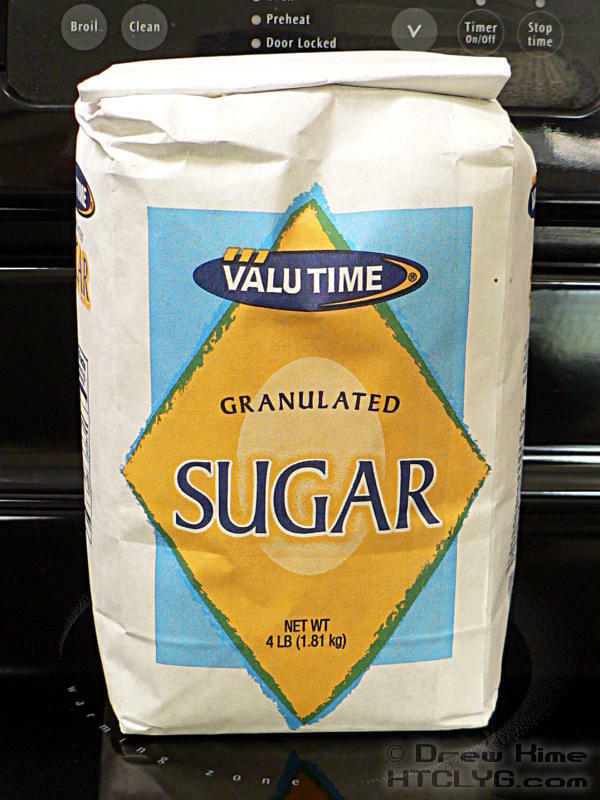 I’m not about to pay eight bucks for a 10-ounce bottle of sugar water. Yeah, that’s all simple syrup is: sugar and water. (There’s a reason they call it “simple”.) You can make your own way cheaper, but it can be a hassle. Unless you know this little trick. 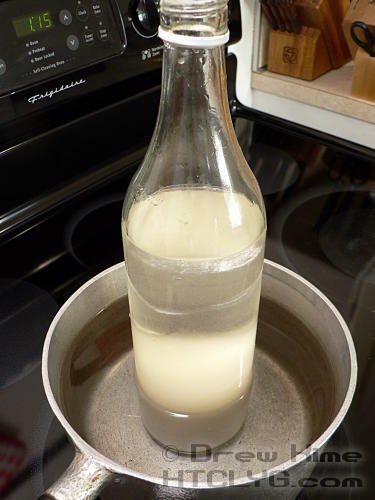 Instead of making the syrup and then trying to get hot syrup into a bottle, just make it right in the bottle to begin with. Using a funnel, fill a glass bottle halfway with sugar. 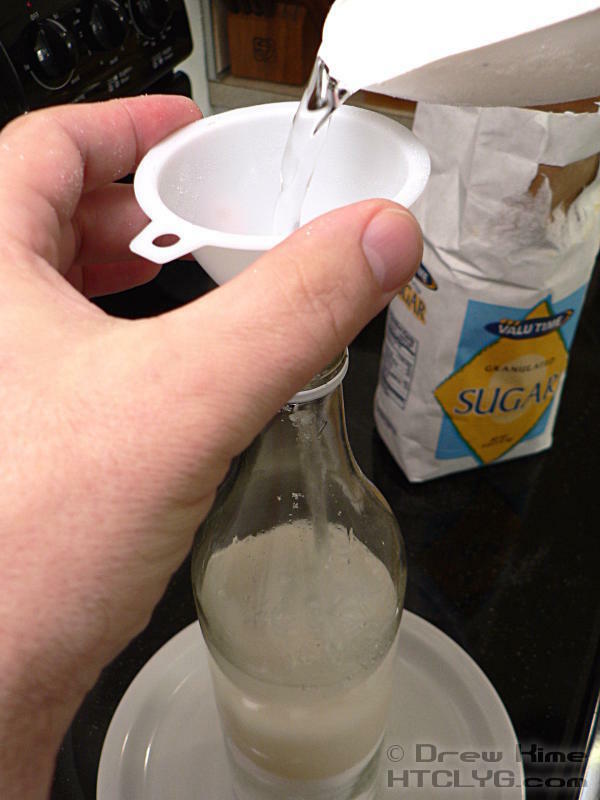 Measure how much you add, and add the same amount of water. 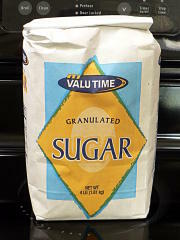 For my bottle it was three cups each of sugar and water. 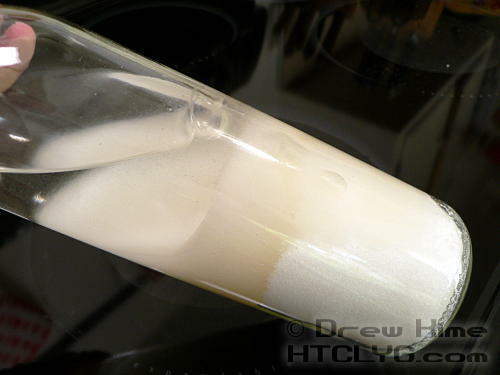 If you’re a high school chemistry teacher, you may have done a demonstration something like this next part. If so, could you explain what’s going on? You can see that the water is sitting on top of the sugar, and comes right up to where the bottle starts to get narrower. 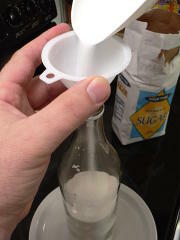 Tip the bottle on its side a little bit and air surrounding the sugar starts bubbling up, letting water down to mix with the sugar. 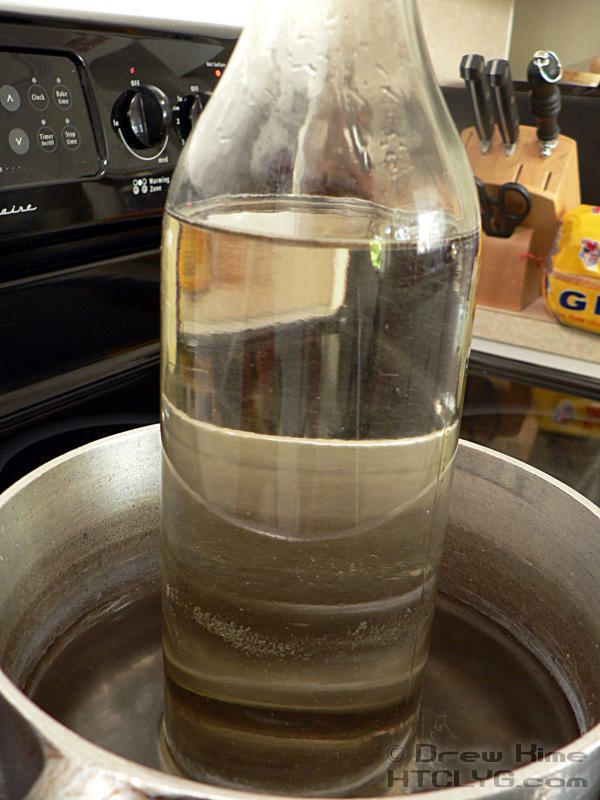 Put the bottle, with no cap on it, in a pan filled with water, and put it over medium heat. You want the water just barely boiling. 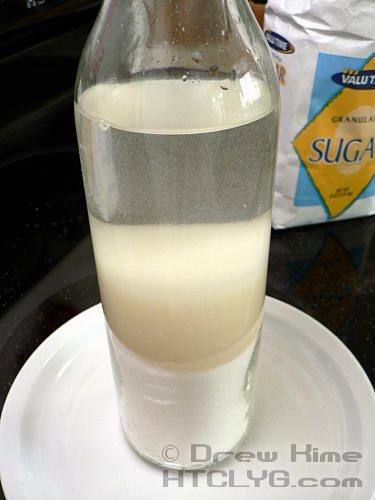 As the sugar dissolves into the water, it loses the cloudiness. You’re done when the syrup is completely clear. Depending on how large a batch you’re doing, this could take an hour or more. 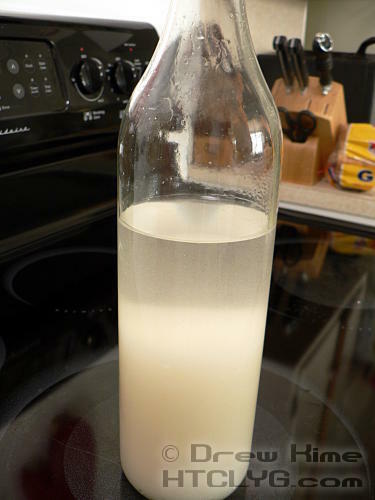 Remember how the water was up to the shoulder of the bottle when I first added it? And then it went down a couple of inches after the trapped air bubbled out? Look where it is now that it’s done. I know water expands when heated but this is wild. Anyway … put the cap on and let the syrup cool down until the bottle no longer feels hot to the touch. Then put it in the fridge until you need it.